This is a powdery scent that opens up with dazzling notes of blood grapefruit and strawberry, followed by a bouquet of jasmine, gardenia and violet on a comfortable base of musk, white woods and vanilla. Daisy is a clean, innocent scent that will make you feel calm and younger. 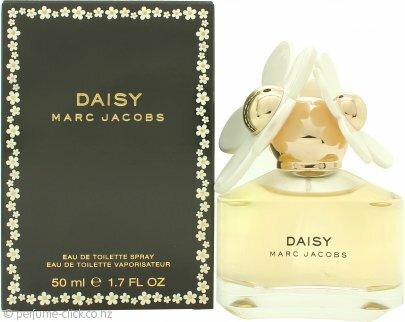 It comes in the iconic daisy-shaped bottle, which will be a classy addition to your perfume collection! Its freshness makes it a great fragrance to wear for everyday use, as well as to give you energy on warm days. Due to its extraordinary success among women of all ages, Daisy has been followed by many other editions, including Daisy Blush and Daisy Kiss.